A Slippery Slope: Do Albany’s Congestion Toll Exemptions Set A Dangerous Precedent? After the budget comes a deluge — and this one could be quite substantial. Congestion pricing passed the state legislature on Monday morning with minimal exemptions. Don’t count on it staying that way. Lawmakers did make history when they mustered the votes to toll drivers who enter Manhattan below 61st Street — a plan decades in the making. But they left the key details to a newly created “Traffic Mobility Review Board,” which will come up with the cost of the tolls, who will pay, and when the system will be implemented. The legislature mandated a target — enough revenue to support $15 billion in bonds for transit improvements — but specified little else [PDF]. So apres le budget, le deluge: After hearing from the public, the new panel will recommend tolling fees and exemptions to the MTA board, with just 30 days of public review before the program goes into effect in late 2020. The forthcoming flood of exemptions, set to be considered by the toll-setting panel through an extensive public process, could be quite substantial. More than a half-dozen possible exemptions circulated in the weeks leading up to Monday morning’s budget vote. 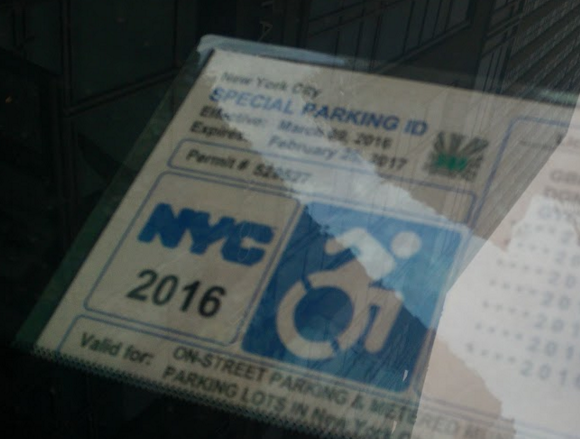 In the end, the list was whittled down to just three vague and still undefined exemptions: one for “authorized emergency vehicle[s]” as defined by the state traffic law; one for “qualifying vehicles transporting a person with disabilities,” and a tax credit for Manhattanites living below 61st Street and making less than $60,001 per year (they would pay the congestion toll, but get it back from the state when they file their taxes). Those three exemptions — and how they’re defined — will set the tone for the toll-setting panel — and shape the expectations of the public. The state definition of “authorized emergency vehicle” could wind up including the private cars of placard-holding first responders commuting to work, for example. And the tax rebate, which would come out of the state’s general fund and therefore does not impact the money raised for transit, gives the board a way to exempt drivers from the tolls isolated from the bill’s revenue target. The panel will also consider credits for drivers who get to the congestion zone after paying a toll to use one of the other state-owned bridges and tunnels. Legislators are already referring constituents to the toll-setting process as a way to defend their votes in favor of congestion pricing. Queens State Senator James Sanders Jr., for example, listed the program in the “what needs work” section of his post-budget email newsletter — implicitly passing the buck to the MTA and its new toll-setting panel. “More work needs to be done to lessen the impact on Queens’ motorists commuting into Manhattan,” Sanders wrote, ignoring the fact that only 3.1 percent of his constituents commute regularly into the congestion pricing zone. Further adding to the noise: the Trucking Association of New York, which counts FedEx and UPS among its members. The organization’s president told Bloomberg News that all commercial vehicles should be exempt. Advocates and elected officials, however, hope that the toll-setting panel will be able to act above the influence of specific interest groups. The panel’s members “must have experience in … public finance; transportation; mass transit; or management,” according the bill, which legislators and advocates believe will safeguard the program’s effectiveness in both reducing congestion and raising revenue. Paulin said that she and her Assembly colleagues had hoped specific exemptions would be detailed, but the Senate put the kibosh on them. The bridges and tunnels were ultimately left out after Governor Cuomo mocked them on the radio last week, newly minted MTA Chairman Pat Foye told reporters on Monday. The panel’s mandate “means we’re going to have people who are paying attention to what the real needs are, and not the perceived needs, in looking at exemptions,” said Tri-State Transportation Campaign Executive Director Nick Sifuentes. Also on its agenda: Whether drivers will be charged for driving entirely within the congestion zone. The carveout for low-income Manhattanites, meanwhile, was the brainchild of the legislature’s Manhattan delegation, according State Senator Brad Hoylman, whose district encompasses a big chunk of the tolling zone. In an interview, Hoylman assured Streetsblog he would fight to make sure carveouts don’t adversely impact the program’s effectiveness, but he defended exempting low-income Manhattanites. His colleague Jessica Ramos, of Jackson Heights, Queens, is taking a harder line. The debate over that debate comes as a new poll suggests that city residents are unsure about whether congestion pricing will even work. Voters polled over the weekend by Quinnipiac University oppose congestion pricing by a 54-41 percent margin. And 52 percent say they don’t think it will be effective in reducing traffic. Forty percent believe it will, according to the survey, which was released today. In cities where congestion pricing has already been implemented, its poll numbers increased only after it went into effect. Low income people who own cars in Manhattan south of 60th and actually use them regularly? Who could that be? They must have free parking. An exemption for drivers earning $60K or less per year is going to lead to a lot of people with very wealthy husbands filing separate tax returns. Why does Brad Hoylman care about the low-income drivers hardship, but not the day-to-day suffering of those low-income Manhattanites with asthma and other respiratory diseases? Do people making under $60K get an exemption from sales taxes, payroll taxes, income taxes, or other tolls? No, nor should they. Driving into Manhattan is not a necessity in NYC, despite what the politicians say. It should be treated and taxed like what it is, namely a luxury good. And I say again: Let’s let a board of non elected officials, who can’t be held accountable for their decisions, make all the decisions. This is a phenomenal punting of accountability. HOW do you have a lower income if you have a car and live in manhattan? HOW???? The question is why he wants to go to bat for what amounts to a tiny amount of people (car-owing, low-income Manhattanites who drive regularly) when creating an exemption for them will likely be used cynically by politicians to create exemptions for those with means. Even if Holyman thinks he’s doing good here, this will ultimately harm more people than it helps. Well for one thing, housewives who are married, filling separately. That only works if sufficient mass transit capacity was already available unlike in NYC. What exemptions, if any, do the congestion pricing programs in London, Stockholm, or Singapore have? Ah yes, famous transit desert of lower Manhattan. All three exempt motorcycles. London gives residents inside the district a large discount (90%?) and exempts taxis. Stockholm’s fee is less than 4 USD. I was referring to the lack of space on the trains since the existing passengers are already packed like sardines. Singapore should be taken out of any discussion on congestion pricing in NYC. They are miles ahead in public transit and stand of living but also under a authoritarian style govt. Oh, for sure man. Let’s put people in individual containers the size of a small bedroom. This will definitely unpack everyone. The Stockholm plan does not exempt residents inside the zone. It does, or at least did, have special provisions for residents of Lidingö, an island with no way to reach the national road network without traveling through the zone. For sure they will slide off the slippery slope. Unfortunately. It is crazy that this was voted on in theory, only in idea form, and not on anything actual. Bloomberg put forward two different proposals, there have been at least 2 versions since; those lawmakers could have voted on something concrete instead of just of the idea of congestion pricing. It seems crazy that such a vote can even be held and matter when the form congestion pricing will take is unknown. Supporters of congestion pricing don't want it watered-down with exemptions for cops — especially when cops cause so much congestion. The governor's congestion pricing plan is a win-win-win.